Remember that zippy performance and warm feeling you got when you booted up your Mac for the first time? Seems a long time ago, doesn't it? Thankfully, getting everything wiped and back to its original state isn't too complicated or painful a procedure any more. 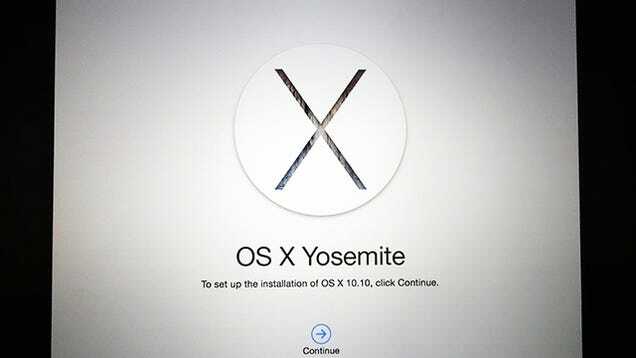 Here's how to go about it in the latest Mac OS X. Restoring your computer back to its original state, whether on Windows or Mac, is a whole lot easier than it used to be: restore partitions (original copies of the OS integrated into your laptop), downloadable software and automatic backups mean the process is no longer as hair-pullingly frustrating as it was five or ten years ago. That said, you are wiping everything off your machine: ,ake sure all your photos, music, apps and so on are backed up somewhere else, because you're going to be starting again from scratch. Where are your emails? Where's your iTunes library? Check once and then check again to make sure you can get everything back again. Make sure to de-authorise any apps — such as iTunes or Photoshop — that you're going to download afresh, because your newly wiped computer is going to be viewed as a new machine. Dropbox finished syncing? Power cable attached? Pictures of the kids somewhere safe? Then you may proceed. When you're ready to take the plunge, restart your Mac from the Apple menu and hold down Cmd+R as soon as the reboot starts. 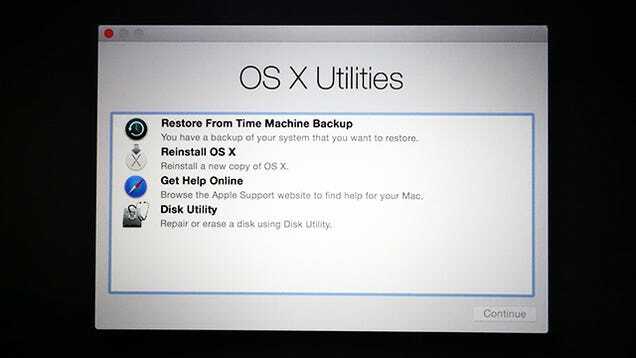 You'll be met with an OS X Utilities screen where you can access Time Machine, online help, the reinstall tool and the Disk Utility. Click on Disk Utility then Continue first of all to get your Mac's hard drive wiped. Select your startup drive on the left (typically Macintosh HD), switch to the Erase tab and choose Mac OS Extended (Journaled) from the Format drop-down menu. Select Erase and then confirm your choice. 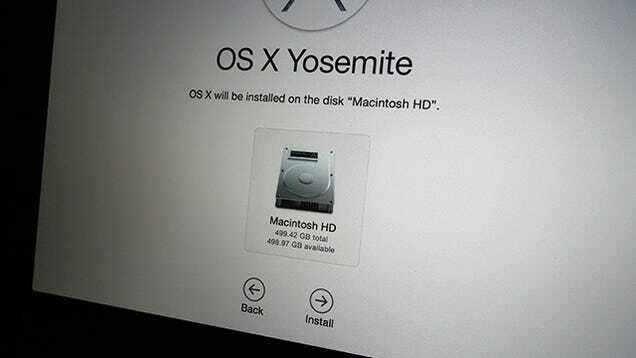 Quit out of the Disk Utility app, and this time choose Reinstall OS X and Continue. Follow the instructions that appear on screen, licence agreements and all, and choose the hard drive to use (in most cases it'll be the only one available). Along the way you can sign in with your Apple credentials to get your apps and iCloud links back again. You're going to be looking at about an hour's worth of reinstalling time but after that you're good to go and ready to enjoy your good-as-new Mac OS X experience. You might find that some of those apps and shortcuts you had installed weren't actually that useful after all.